He nearly let out a naughty word! 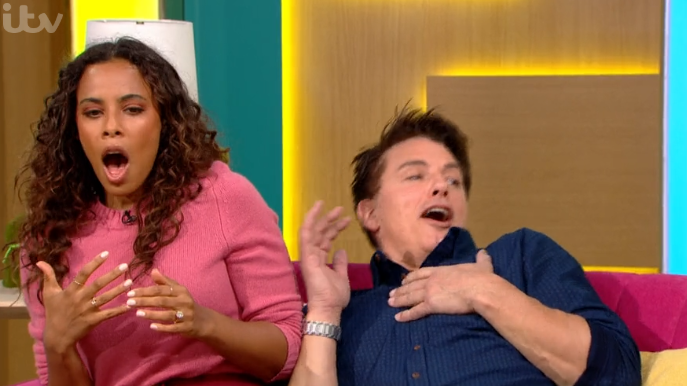 Poor John Barrowman and Rochelle were given an almighty fright on today's This Morning. 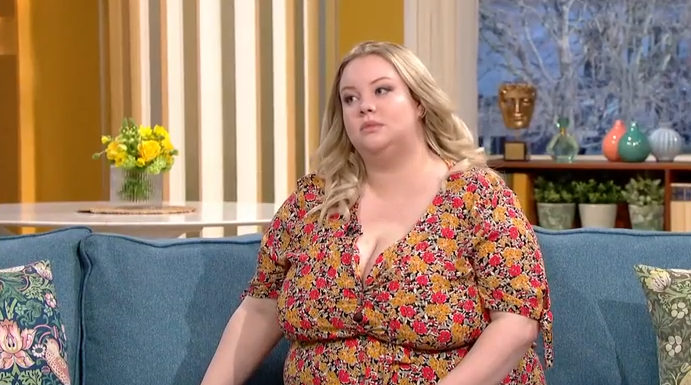 The pair, who were filling in for regular hosts Holly Willoughby and Phillip Schofield, were minding their own business when the Easter bunny jumped out on them. Ahead of a segment on Easter gifts, someone wearing a bunny costume popped out and scared John and Rochelle. As they let out a huge scream, John revealed he "almost wet" his pants because he was so scared. He even almost let out a naughty word! Holding his chest, John said: "Oh my God. I hate you," to which Rochelle added: "You are so naughty!" Turning to the bunny, John shouted: "You are the bad Easter bunny! I just think I almost wet my pants. That was not funny." 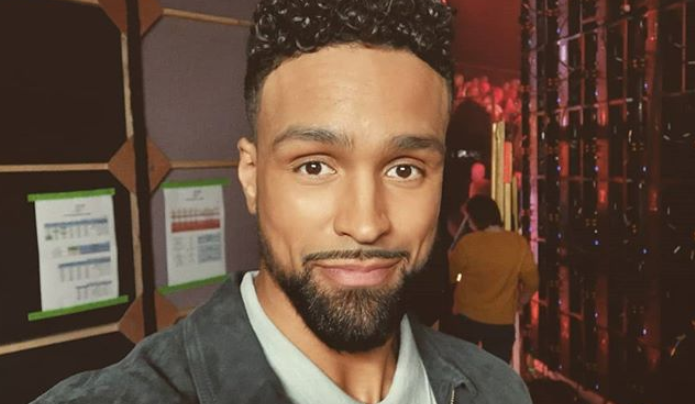 Rochelle said: "Can I just say, firstly that was really mean and secondly, super brave because you [John] were that close to [saying] a bad word." John said: "I did almost said a bad word." You are the bad Easter bunny! I just think I almost wet my pants. Viewers were amused by the prank and shared their thoughts on Twitter. 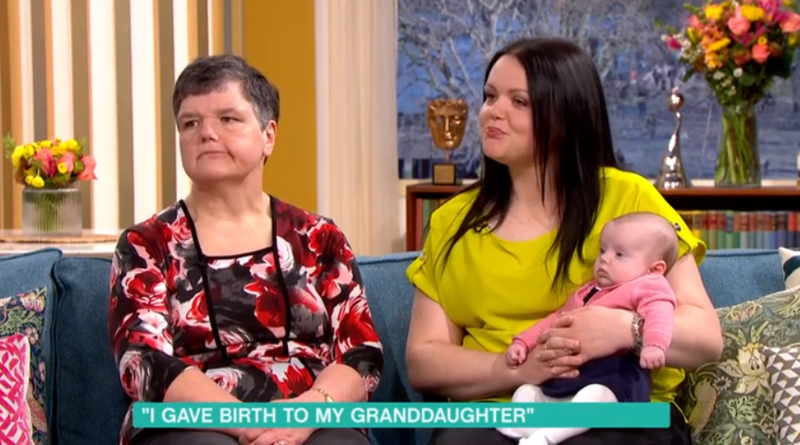 One person said: "#thismorning John getting a fright from the easter bunny was funny." 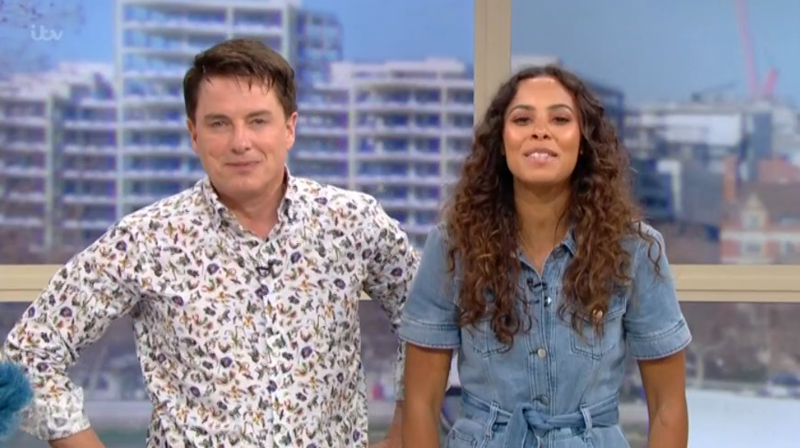 Another wrote: "The Easter bunny scaring John Barrowman and Rochelle is why I bloody love @thismorning #Easter #ThisMorning." A third tweeted: "@JohnBarrowman being scared to death by the Easter bunny is probably one of the funniest things I’ve seen in ages! @thismorning 藍藍 #ThisMorning." During yesterday's show, John was left red-faced after making an accidental innuendo. A short segment about how viewers could landscape their gardens on a budget was first shown. At one point the presenter of the item light-heartedly mentioned 'using a sprinkle of fairy dust' to complete her horticultural tasks. Moments later this remark was brought up by Rochelle once the segment was over. "My little girl would love that - the fairy dust," the former Saturdays singer said. John replied: "I know. I love a fairy." As Rochelle awkwardly grasped for the right words to follow up on John’s response, he seemed to realise his remarks could be misinterpreted. And with a few giggles around the studio from production staff, it wasn’t long before next guest Sara Cox let out a few sniggers, too. Rochelle, struggling to speak, gave actor John a reassuring pat on the leg before managing to utter: "Okay, he loves a fairy."